open each day from 10am to 6pm. 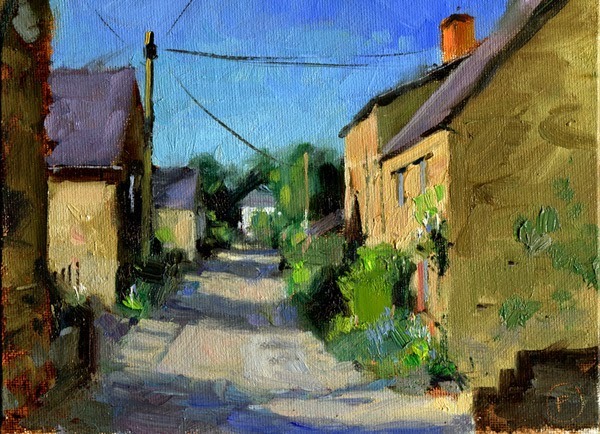 Epwell is one of the many beautiful honey coloured stone villages in North Oxfordshire, only a few miles from the forthcoming expo...No emails for a couple of days now as I'm driving up to meet the ferry to cross the channel tomorrow. 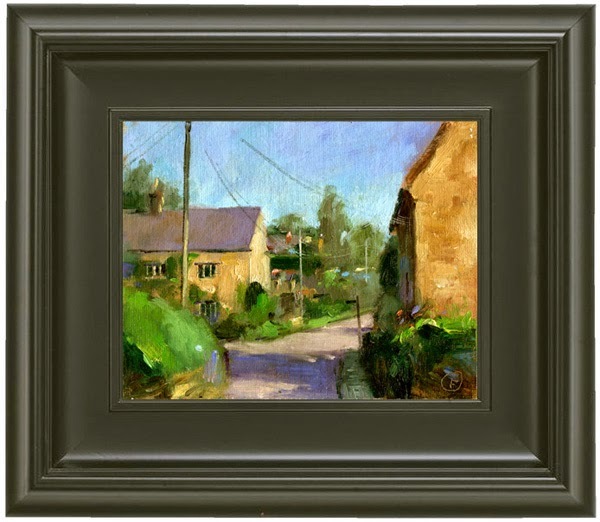 Soon to be back in Sibford for my annual exhibition in nearby Swalciffe, this is Bonds End Lane in Sibford Gower, and yes it often looks as quiet as this! 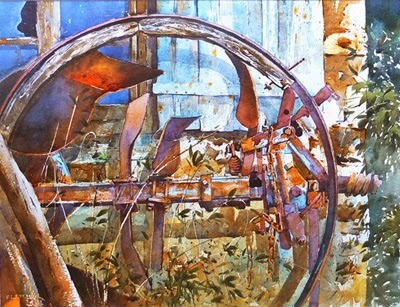 New exhibition: watercolours here and the mini oils here.